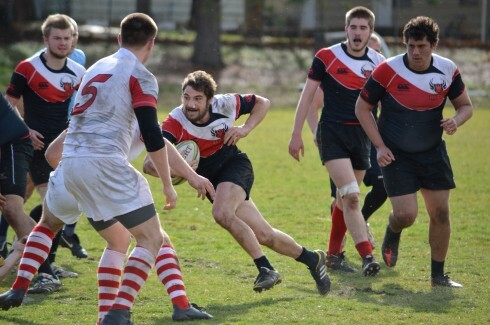 ASHLAND, Ore. – The Southern Oregon University men’s club rugby team fell to Pacific University at home on Saturday, Feb. 15. The first game of the winter friendlies season ended with a close final score of 20-25 in favor of the visiting Boxers. Mother nature certainly showed up, along with a lot of student support. The wind and rain made for an even more exciting full rugby experience, muddy field and all. Senior Ronnie Hill scored two tries in the first half, which brought the Raiders to a 10-point tie at the end of the period. Fans inquired about the rules of the game, bantered about the sports brutality, and discussed it’s origin. Junior accounting major Donna Freeman found the experience invigorating. “This is the first game I’ve been to, and I love it. Its exciting, rough and entertaining. They inspire me to get out there and try it,” Freeman said. As the second half began, two more tries were put on the board for Southern Oregon, one made by senior and captain Greg Filmore. 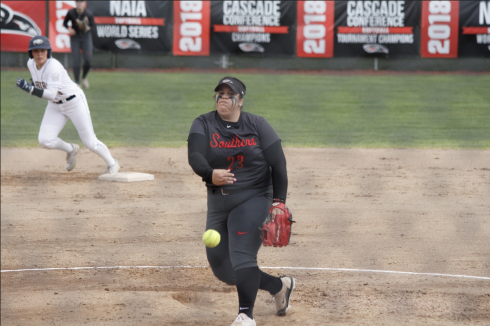 While SOU put up a good fight, they couldn’t quite hold Pacific in the last 40 minutes of play. 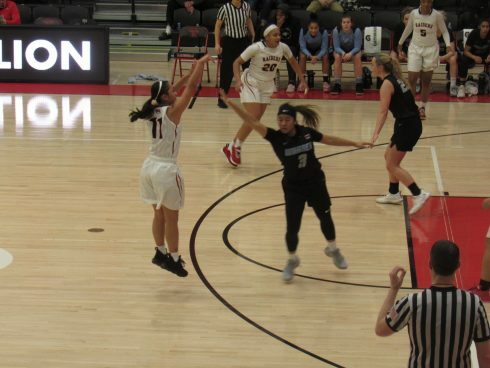 Pacific outscored the Raiders three to two in the second half leading to their victory. With a brand new coach, and a team full of relatively new players, the Raiders are looking to further develop the program. “We have a lot of guys that are actually taking off this year, so we’re really trying to build the program and keep it strong for next year,” said Filmore. While the fall league season didn’t go as well as they had hoped, they are optimistic and excited about what’s happening overall. Since rugby is a club team and perhaps not as well followed as sports like football, it really is about getting more students interested, both in playing and watching. 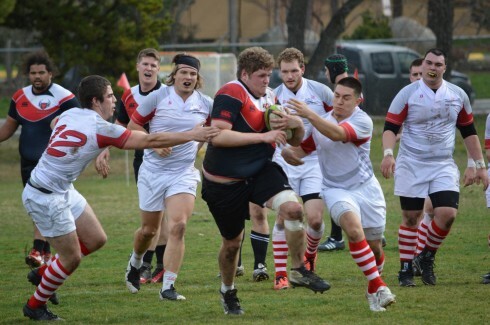 “One of the goals I would like to see is being able to get more guys out, and for people to know about rugby, to come watch our games, to come play our games,” said Hill. Getting and staying fit, and passing on skills to brand new players, is in the forefront of the team’s focus. “We need to get fit, run more, make sure our team is in shape. We need to get disciplined on some of the nuances of the game. For about five or six guys, today was their first game”, added Hill. The Raiders take on Willamette University at home on the football practice field at 1 p.m. Saturday Feb. 22.